The Atlantic Reclamation Conference (ARC2015) was held October 20-22, 2015 at the Wu Conference Centre in Fredericton and hosted over 100 practitioners, consultants, provincial and federal regulators, academics, students, planner and developers interested or involved with the restoration or reclamation of impacted or disturbed lands. 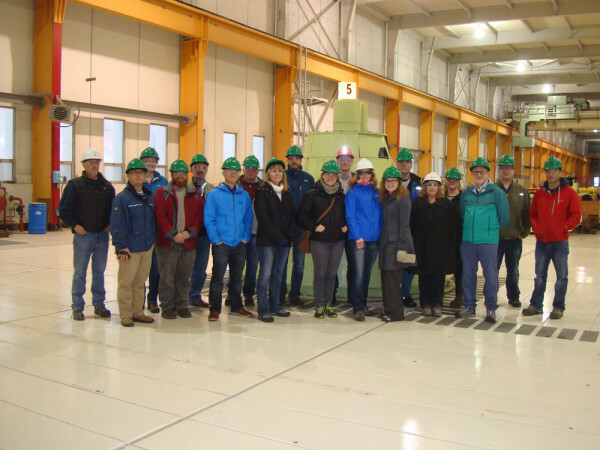 The event was co-chaired by NB Power employee Michele Coleman, Environmental Engineer, Generation and Business Development and included a special session on the Mactaquac Project along with a field trip to the Mactaquac Generating Station. The ARC series is a set of conferences organized by the Atlantic Chapter of the Canadian Land Reclamation Association whereby various aspects of land reclamation are shared and discussed. There were 37 presentations on various reclamation topics over two days. A special session was held on the second day which focused on the options for the future of the Mactaquac 672MW dam project. As part of the public discussion about the future of the Mactaquac Generating Station, project director George Porter presented the highlights of the various studies that have been ongoing since 2013. 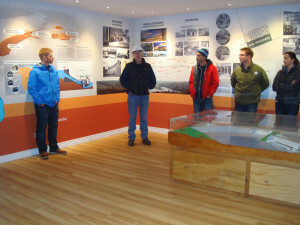 He invited the audience to join the Mactaquac Project team to an open house that was held on the same day in proximity of the conference venue. George also pointed out that the public can contribute to the conversation online on www.Mactaquac.ca , fill out an online survey on www.Mactaquaction.ca and comment on drafts of the Comparative Environmental Review report and the Social Impact Comparative Review report. 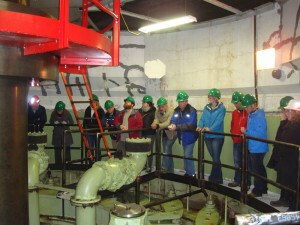 Day three was a field trip to the Mactaquac Generating Station, which was led by J. Kirk Howard, Supervisor at the station. 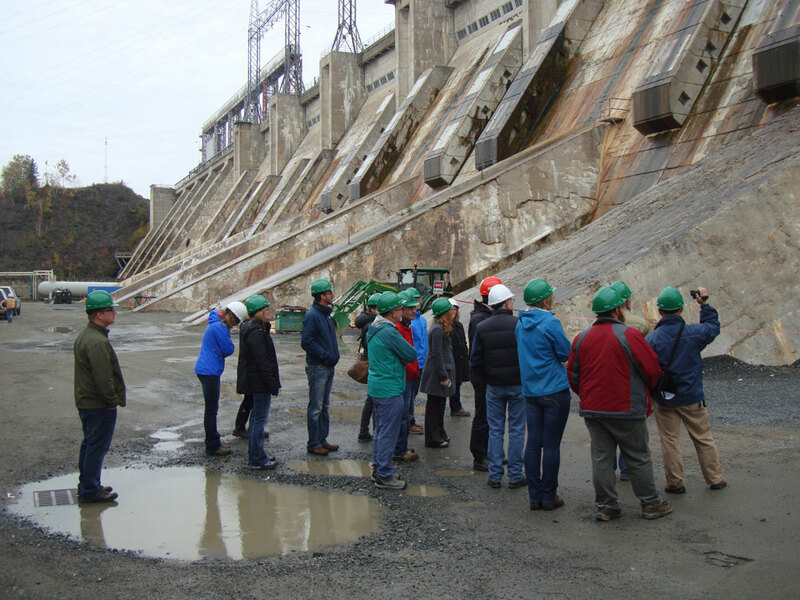 Tour participants included a cross section of the conference audience including a few that had previous experience with dam removal consideration projects – but nothing of this magnitude. Nova Scotia Lands Executive Director Frank Potter commented,”NS Lands Inc. owns two dams/fish ladder structures, one of which is a former industrial water source that is now no longer needed. We have contemplated the option of removing the dam and we found this presentation extremely helpful if we ever decide to go this route of removing the dam”. 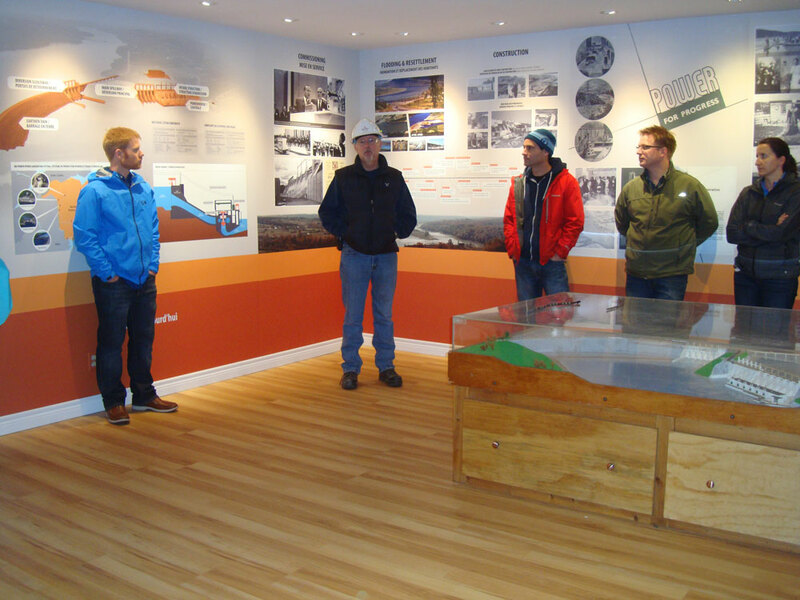 Comments from the Mactaquac presentations and the tour ranged from :” never thought about that before” to awe about the enormity of the background research project and the physical size of the dam (both inside and out), to discussions about replacement green energy versus other options. “This was a wonderful opportunity to explore and share the project considerations with both New Brunswick residents, many of whom had never been on a tour of the physical dam before, and our neighboring Nova Scotians,” says Michele Coleman.